As the Fall half and full marathon season comes to a close, now is a good time to rest, recover from any injuries and complete at least one strength workout for runners per week. Strengthening your body with Plyometric exercises now will prepare you for the Spring race season. It’s also a great way to improve speed and reduce injury risk. The following quick strength training exercises described below, will make you a faster and more injury-resistant runner. These six no-excuse workouts pack a big punch in minimal minutes. With these exercises, you’ll hit all the major muscle groups from head to toe while building strength, improving core stability and increasing range of motion. Plyometrics are a type of dynamic exercises that build explosive muscular power. They’re not just jumping exercises. 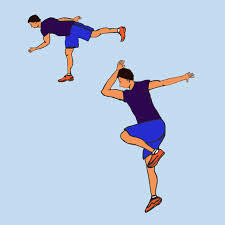 Plyometric exercises mimic the motions used in many sports such as skiing, running, tennis, football, basketball and volleyball. Professional athletes in these and other sports use plyometrics to condition themselves. According to articles on WebMD.com, these exercises work because they force your muscles to lengthen and contract over and over again at top speeds. Plyometrics are some of best strength training exercises that a runner can perform because they boost lower-body power, which help to maintain speed throughout your runs and allow you to kick it in the final stretch. To get the most benefit from plyometrics, they should be completed with active warm-ups (light running, push-ups, sit-ups and other exercises to warm-up muscles), stretching exercises and other weight training exercises. 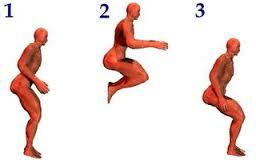 During the offseason, I recommend completing a plyometrics workout 1-2 times per week. You can do a short 15 minute workout before or after your run. 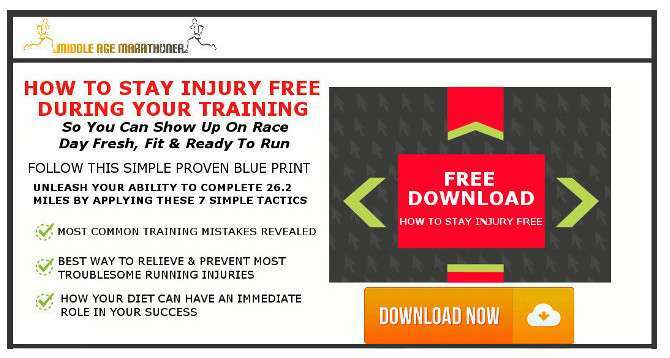 As you get closer to racing, complete one plyometric workout per week. After completing plyometrics consistently, you will notice that your runs feel easier and you’ll be more resistant to injury, because you’re reducing the force of impact on the joints. By building up the muscles’ ability to absorb impact, plyometrics can take pressure off connecting tendons. A regular regime of Plyometrics will help you get faster. This is because these exercises build efficiency and they enable the legs to function as a stiffer spring when the foot makes contact with the ground. The end result is it will take less energy to run. Although the gains from performing plyometric training are great, there can be some risks. This would mainly be with people that are in poor physical condition or have bone or joint problems. As with any type of exercise, prior to engaging in plyometrics, consult with your physician or physical therapist who can assess your suitability for a plyometrics training program. I also recommend initially using a qualified instructor who can match any of the following exercises to your age and fitness level and teach proper landing techniques before allowing you to complete more difficult exercises. Beginners should start slowly with simple ground-level jump-offs onto padded surfaces such as grass or a gym mat on a stable gym floor. 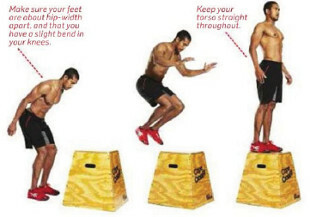 To be most effective, plyometric exercises should be completed with quality jumps and safe landing techniques such as toe to heel from a vertical jump. You want to use your entire foot like a rocker to distribute impact over a bigger surface area. This will help you avoid excessive side-to-side motion at the knee. My workout instructor asks participants to visualize themselves landing “as light as a feather,” or without any noise to minimize impact. Over time and when you are ready to move to the next level, more complicated exercises such as depth jumping can be introduced. If necessary, feel free to modify any of the following programs to optimize gains and prevent overtraining injuries. Here are six no-excuse strength training workouts for runners that pack a big punch in minimal minutes. With these exercises, you’ll hit all the major muscle groups from head to toe while building strength, improving core stability and increasing range of motion. 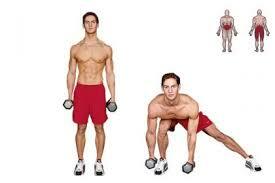 For the exercises below, do four sets of 15 reps of each move. Eventually work up to seven sets. Land with knees soft in plie squat position. Repeat for 45 seconds. This is one set. Both sides for 30 secondis each is one set. Jump as high as you can and land in lunge position (bend both knees 90 degrees like you’re sitting in a chair). Repeat the lunge-squat jump combo. Continue for 45 seconds for one set. Start the movement by bending your knees and swinging your arms backwards. As your arms swing forwards again, use the momentum and jump up as powerfully as you can. 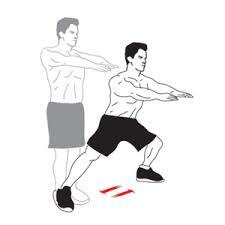 Land with both feet on the platform as gently as possible, and then stand up straight so that your hips are extended. Continue for 45 seconds, alternating sides for one set. Lie facedown on floor, palms next to your chest with your toes turned under. Do a push-up, using your upward momentum, jump with your left foot in between hands and quickly stand up into a plie squat as you bring hands beside chest. Repeat for 30 to 45 seconds for one set. Whether you complete this entire plyometric routine or just a portion, make sure you include some strength training into your marathon training program. Higdon discusses suggested weight lifting exercises as a great way to build speed. 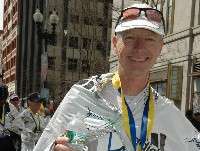 Bottomline, the benefits of strength training are fantastic for runners.